For your Swiss Picnic, Family Reunion, Birthday Party etc.....! 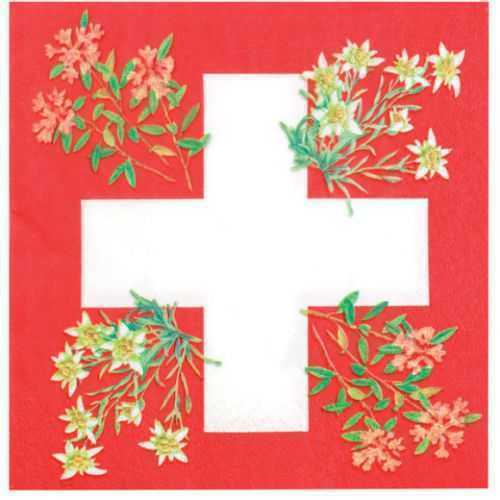 Red Paper Napkins - Swiss Cross w/Alpine Flowers design. Service Area: New Glarus, Beloit, Madison, Janesville, Freeport, Machesney Park, Middleton, Fort Atkinson, Monroe, Waunakee, De Forest and surrounding communities.